We had the pleasure of being invited to stay for one night at the newly opened Attitude on Granville in Tsim Sha Tsui, Hong Kong, a boutique hotel inspired by Hong Kong's lively atmosphere in the 1970s and 1980s. This cute hotel has a huge range of quirky rooms suitable for all budgets, ranging from urban (15 sqm), cozy (22 sqm), elite (25 sqm) and studio suite (a spacious 35 sqm). Each room has beautiful, hand-painted graphics reflecting an eclectic mix of vintage and modern pop art, all based around the theme of Tsim Sha Tsui and nostalgic, old Hong Kong. Similarly, the hotel lobby is full of vintage letterboxes and retro pay phones, allowing guests to indulge in the past. We stayed in the studio suite, which was bright, modern and spacious, with king sized bed, accompanied by a further pull out sofa bed (perfect for small families). I loved the pop of colour that was added to the walls through the artwork reflecting different aspects of Tsim Sha Tsui (and the beautiful and brightly coloured mosaic tiles in the bathroom), as well as the rustic wooden touches on the bed headboard. On top of all this, the shower is enormous, so for those who are missing the comforts of large showers (yep, thanks Hong Kong), this is the place for you! 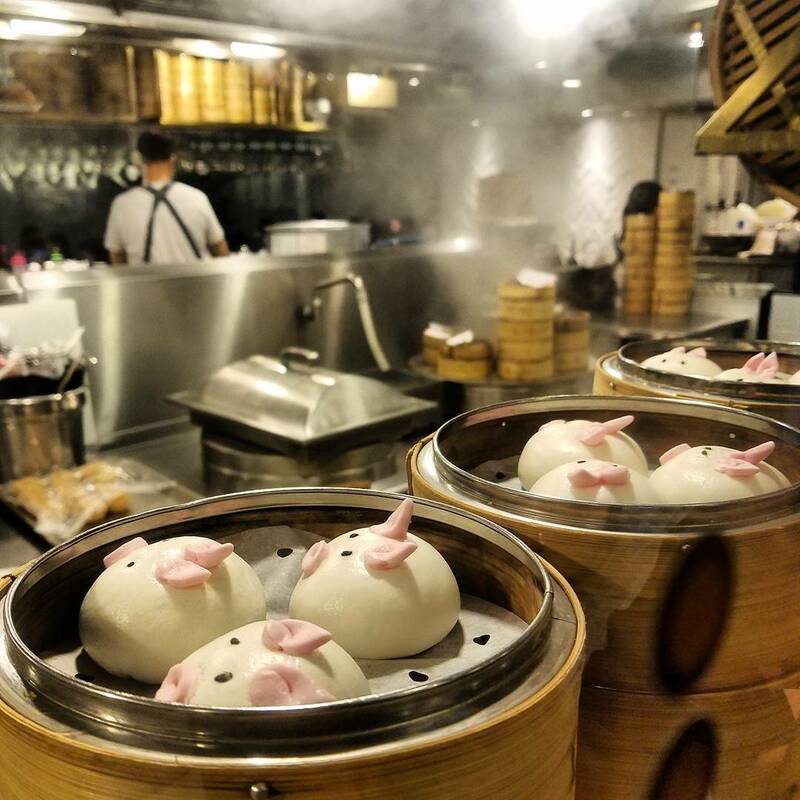 Most people will have seen photos and videos of adorable dimsum in the shape of pigs, birds in cages, and googley-eyed yellow buns (and if you haven't, go check ours out at our instagram) - and Yum Cha on the third floor of Attitude on Granville is where you can find these hilarious dishes. We recommend the beef curry brisket, the yellow custard buns (be sure to pop a little hole as a mouth in your bun's face, and squeeze some of the melted custard out! ), and the chilli wontons. Photo courtesy of our Artistic Director @csquared317. If you don't feel like Chinese food, drop by Urban Park on the 4th floor. This modern Western restaurant with a stunning open-air green terrace is perfect for relaxing in the sun with a glass of sparkling wine. They offer shisha sets (HK$380 per set, and HK$200 for a refill) with a large range of shisha flavours. For lunch, we had the Halloween special lunch set that consisted of a deliciously refreshing smoked salmon salad and a tomato-based seafood pasta. PS. Disclaimer: we were offered one complimentary night's stay at Attitude on Granville, as well as one complimentary set meal at Urban Park. Our meal at Yum Cha was paid for by us.